Gjermund Stenberg Eriksen is the creator and showrunner of Norwegian hit TV series, Mammon (2014-2016). 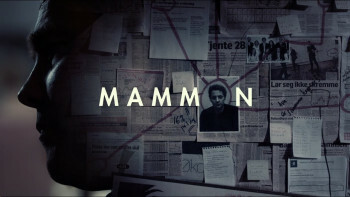 Mammon won an International Emmy Award in the category for 'Best Drama' in 2017 for its second season. Mammon was also nominated for the prestigious ‘Best returning drama series’ at the 2016 C21 International Drama Awards and won ‘Best Mini-Series’ at the 2014 Seoul International Drama Awards for its first season. The show reached international success and has been remade into Mamon in the Czech Republic and Pakt in Poland by HBO Europe. Eriksen has also worked on the courtroom drama Aber Bergen (2016). International Emmy award-winner Gjermund Stenberg Eriksen (Mammon) has, together with Helena Nielsen (Lilyhammer), created a new procedural crime series for NRK: For Life. For Life follows a non-linear structure, incorporating time-jumps that give the viewing audience greater freedom in addition to having the satisfaction of closed episodes. In the series, the viewer gets to follow top police woman Victoria Woll, currently serving a life sentence in jail. In each episode, set in modern time but told in flashbacks, we see how the sharp-witted detective works on different cases with her team, and slowly the mystery of why she ended up in jail is revealed. For Life is produced by NENT Group’s Monster Scripted and will premiere in 2020. Fury, a new thriller series created by Emmy Award winning Gjermund Stenberg Eriksen (Mammon), will be be presented at the prestigious Berlin International Film Festival. Stenberg Eriksen teamed up with Hollywood director Roar Uthaug to create this exciting new show that brings to mind Homeland and Jason Bourne. The series, which is a Monster Scripted production, starts off in a small Norwegian community where a conflict develops around a refugee center. When two undercover detectives start investigating the matter, they are drawn into a precarious scheme involving a large European network of right-wing extremism. Fury will be presented on February 21st at the Berlin International Film Festival for the Drama Series Days. The second season of Mammon, written and created by Gjermund Stenberg Eriksen together with Vegard Stenberg Eriksen, is the winner of the 45th International Emmy Award for ‘Best Drama Series’. Mammon II thus makes history as the first Norwegian drama series to win an Emmy Award. The second season of Mammon, written and created by Gjermund Stenberg Eriksen together with Vegard Stenberg Eriksen, was today nominated for an International Emmy Award in the category ‘Best Drama’. The 45th International Emmy Awards will take place on November 20, 2017. Mammon (2014-2016), first aired by Norwegian public broadcasting company NRK, has become an internationally acclaimed show with great reviews as well as an average of 1.3 million viewers per episode, the second highest TSR-rating on NRK to that date. The Guardian proclaimed the show to be “Exactly what you want from Scandinavian quality crime”.